In just 10 days, early adopters will be able to pre-order the highly anticipated wearable, the Apple Watch, but the device won’t reach the market until April 24. 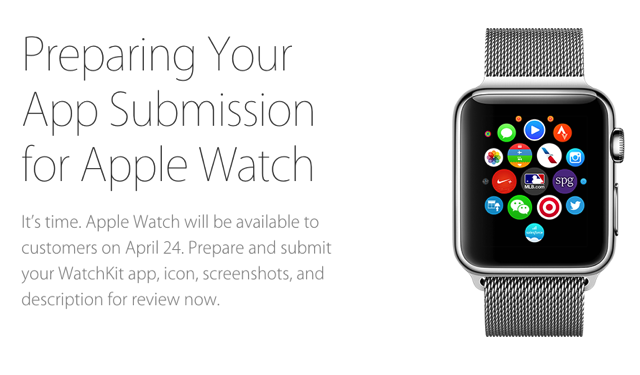 If you are a registered iOS developer, now is the time to finalize and submit your WatchKit app, Apple says. 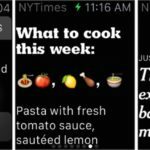 The dedicated page includes how-to tips and detailed information about what developers should pay attention to when preparing their Apple Watch apps for submission. Besides design and development tips and other resources, we learn that developers can upload up to five 312 x 390 pixel screenshots of their WatchKit apps without framing them in an Apple Watch. There is much talk about Apple’s pricing strategy — see the top-of-the-line $22,000 Apple Watch model — and the initial demand for the wearable. Some say the demand doesn’t equal the hype around it. However, Strategy Analytics foresees a spike in wearable shipments this year reaching a new record of 28 million units. The market research firm places the Apple Watch as the most sought-after wearable, suggesting that it will allow Apple to secure the majority of the wearables market with 15 million units shipped this year.